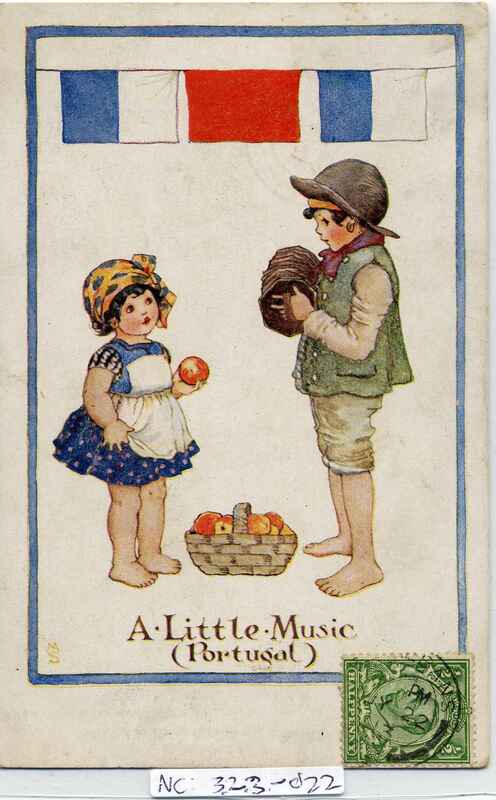 Full Description: A colour print card of two children, one playing an 8-sided concertina, the other a smaller child holding an apple. Entitled "A Little Music (Portugal)". Franked UK stamp to front, dated 1913, postally used, with an (added) Australian stamp to rear, franked 1918. Rear inscription "Britain and her friends, published by Henry Frowde and Hodder and Stoughton". Divided rear.